The mission of the North Miami Foundation For Senior Citizens' Services, Inc. is to maximize the opportunities for the elderly of Northeast Miami-Dade County to maintain their personal independence and to enhance their quality of life by providing a broad array of social services. To achieve this mission, caring and consistent service is provided by the staff and volunteers of the Foundation; there is a commitment to excellence on the part of the staff, volunteers and the Board of Directors, and the ongoing involvement of various community groups and individuals, including governmental and service organizations. 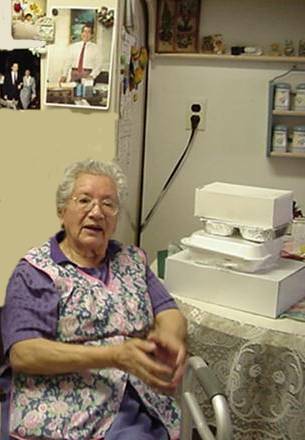 Home Delivered Meals are provided to frail seniors who cannot prepare nutritionally balanced meals. Senior citizens who do not have regular access to transportation are taken to the grocery store and other destinations on a weekly basis. Senior Citizens' who are socially isolated are matched with a volunteer for friendly visits. The agency has a small home care program to help with light housekeeping and laundry. Learn more about North Miami Foundation for Senior Citizens Services Inc.